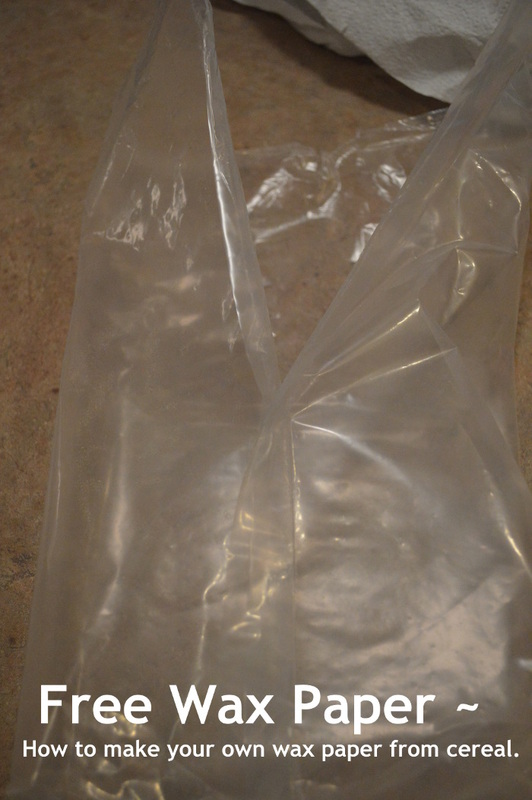 So my last post was about how to re-use the bag from cereal boxes as wax paper. Missed that post, you can check it out here. I had posted it and then mentioned that I have a better way to take the bag apart, thanks to my mother-in-love. So here is how you can do it. In the middle of the bag you can see where the bag is connected. All you have to do is carefully pull apart the two pieces. You keep pulling until you get to the bottom, and then carefully pull it apart on both sides. Not just for "Stay @ Home parents"